Objectives: Exposure to secondhand smoke (SHS) constitutes major health problems that threaten human health around the world; its adverse effects can lead to serious illnesses in both the pregnant women and the growing fetus. 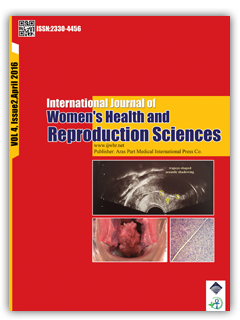 The purpose of this study was to determine the prevalence of SHS among Saudi pregnant women in King Khalid University Hospital (KKUH) and to determine the association between the socioeconomic characteristics of the pregnant women and exposure to SHS. Materials and Methods: This was a cross-sectional study conducted in the antenatal clinic, KKUH. Data were collected from consecutive women using a predesigned questionnaire addressing the participants’ demographics and exposure to SHS status. Results: The prevalence of SHS exposure among pregnant women was 24%. Low maternal education level and being unemployed were associated with more exposure to SHS (P = 0.039) and (P = 0.02), respectively. There was no association between maternal age, parity and monthly income and exposure to SHS (P = 0.697), (P = 0.420) and (P = 0.543), respectively. Conclusion: Maternal educational levels and unemployment are associated risk factors for SHS exposure during pregnancy.